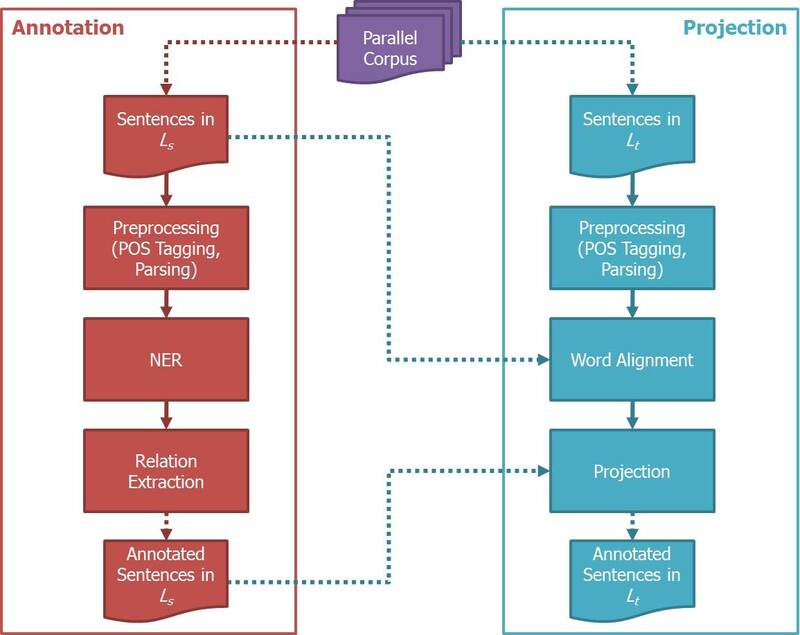 We are developing the automatic content extraction system for information agents. 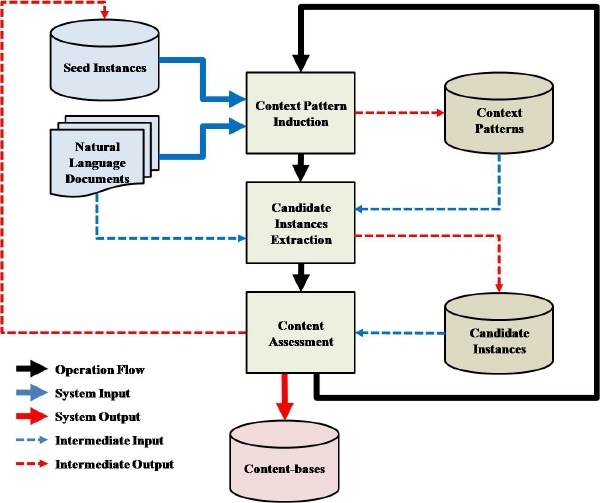 In order to reduce the cost of building requred resources for the automatic content extraction with minimal performance loss, we present a semi-supervised information extraction approach. We concentrate on improving not only the precision of the result, but also the coverage of the method. Context Pattern Induction is based on the simple surface templates. Candidate Instance Extraction is based on the sequence alignment model. Content Assessment is based on the redundant-based assessment scheme.